Kelmarsh is a 3,363 acre (1361ha) agricultural estate at the heart of which stands the eighteenth century Kelmarsh Hall, surrounded by its pleasure gardens and parkland. Today the estate, hall and gardens are owned and managed by The Kelmarsh Trust whose principle aim is to preserve the Hall for the benefit of the nation together with its contents and surroundings, making them available for study and appreciation by the general public. have been greatly influenced by a variety of important designers throughout their history. Between 1735 and 1737 Francis Smith of Warwick (1672-1738) was paid £376 possibly for fitting out the interior to the designs of James Gibbs. Four people are largely responsible for the garden you see today. Colonel C.G. Lancaster, Nancy & Ronald Tree and Miss Valencia Lancaster, who endowed the charitable trust which now owns the house, garden and estate. 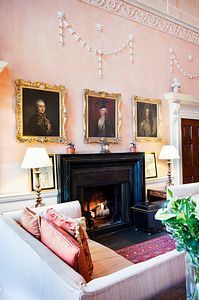 Nancy Tree is perhaps the best known of the four, developing her 'English Country House Style' at Kelmarsh, which was later to become fashionable when she bought the firm of Colefax and Fowler. She extended this style from the decoration and furnishing of the house into the garden. The grass terrace below the garden front of the Hall, with its rows of pleached limes on either side, together with the tapis vert, a wild flower meadow beyond, flanked by avenues of pink chestnuts leading down to the lakes, was designed by Sir Geoffrey Jellicoe in 1936. Situated on the A508 between Market Harborough and Northampton. 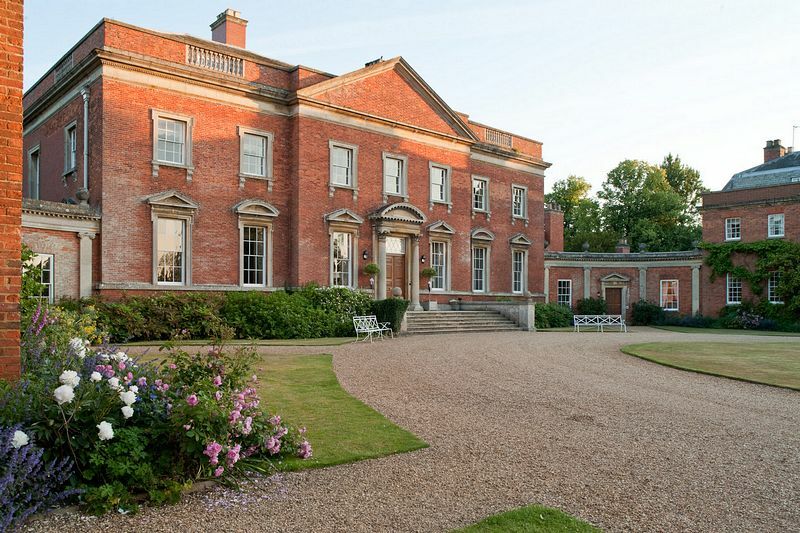 Kelmarsh Hall is located less than a mile from Junction 2 of the A14 and only 15 miles from the M1 Junction 19.